THE Armies of India and Myanmar conducted a “coordinated operation” from February 17 to March 2 against insurgents in Myanmarese territory to avert a possible threat to the Kaladan multi-modal transit transport project, official sources said. However, the Indian Army did not cross the border during the operation, they said. 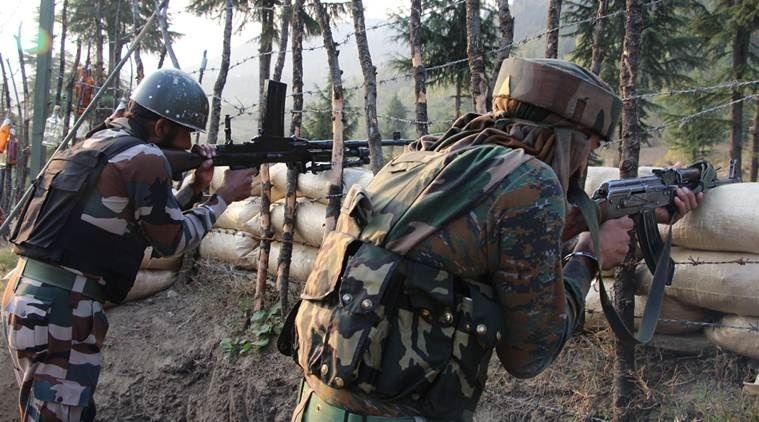 The sources added that during the operation, the Indian Army beefed up the security along the border from Nagaland and Manipur to ensure that the insurgents do not cross over to the Indian side. The Indian Army also helped the Myanmarese Army by providing them Intelligence, they said. There were also inputs that some members of the Arakan Army were also planning to sneak into India. The sources said setting up of camps by the insurgent groups was being viewed as a grave concern by Armies of the two countries. The operation was also undertaken keeping in view the safety of Indian workers engaged in the project. After a series of meetings between personnel from both the countries, it was decided to carry out the coordinated operation. Additional troops were moved to the international border areas, besides deploying the Assam Rifles personnel.The Assam Rifles has the responsibility to guard the international border with Myanmar. The Kaladan multi-modal transit transport project is being viewed as India’s gateway to the South-East Asia. India entered into a framework agreement with Myanmar in April 2008 to facilitate implementation of the project. On completion, the project will help connect Mizoram with the Sittwe Port in Rakhine State of Myanmar. On the Indian side, work is on to extend the Aizawl-Saiha National Highway by 90 km to the international border at Zorinpui.